Well, I think this image sums up how I feel, what a week! Time to relax with no plans for the weekend…that I know of! Thanks David! Yes St. Albert’s is Close enough. I look forward to more of you work as well. I am interested how you will incorporate strobe into your work. Love this shot David. Perfect title to go with this shot. You’ve composed this nicely and lighting has turned out nice too. Every time I visit your blog (not often enough) I am amazed. Perfect shot! He kind of looks like he just lost his girlfriend. Nice shot! Absolutely awesome shot David! I think at one point or another we’ve all had the same week this poor guy seems to have had! Thank you Jim. Recently, it seems like almost every other week is like this! Yup, you got it (that’s about how I felt that day)! This photo is really great, it belongs in the hands of some marketer. What a GREAT shot–so human a pose, balanced lights and darks, a DOF that puts our focus on the tree and (pensive) lemur, etc. Nice work! Thank you for stopping by and and leaving a wonderful comment! Hope you have enjoyed my images and hope to see you around again. Someone give him a book, please! Hahaha, thanx for the comment. 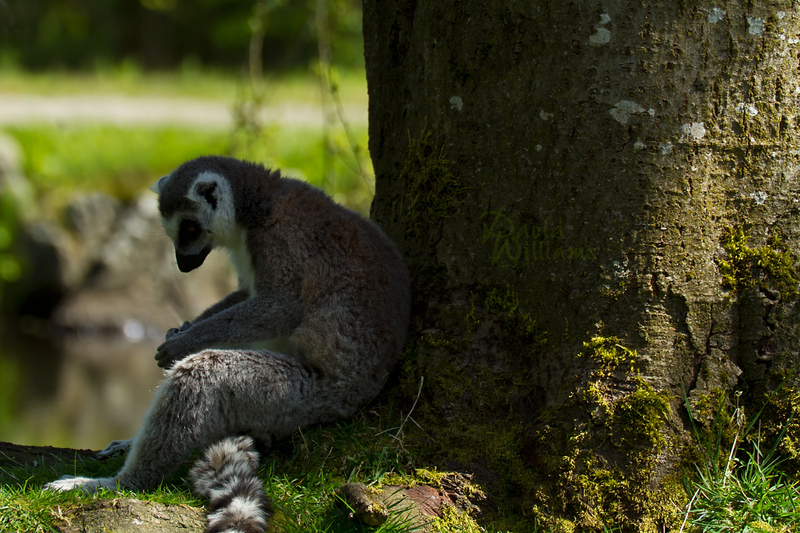 Aww, that’s one sad looking lemur. Why are all the other lemurs always picking on him?!? What to do with those pesky lemurs not inviting this poor fellow to play in their lemur games!